The UFC lightweight and middleweight divisions have been in flux for a while now. But that will change a bit after tonight's UFC 236 event, which goes down at State Farm Arena in Atlanta, Georgia. The lightweight and middleweight champions have been on the sidelines for the last little while, but with interim champions being crowned, both divisions will get moving again, which is the best-case situation for everyone involved. In the case of the lightweight division, it's been in flux since UFC 229 last October, when Khabib Nurmagomedov defended his title with a submission win over Conor McGregor. We all know about the post-fight brawl that night, and neither Nurmagomeov nor McGregor have fought since then. 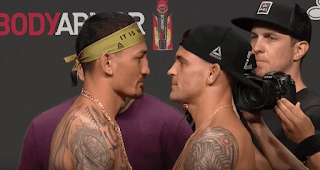 With Nurmagomedov unable to return from his suspension until later this year, and the promotion needing a main event for this event, the decision was made to create an interim championship at 155 lbs, and Dustin Poirier and Max Holloway will fight for it the card's headlining bout. Normally I don't like interim titles, but in the case of the lightweight division, it was necessary. At middleweight it's was also necessary to take that step. Robert Whittaker has been a dominant champion, but he hasn't fought since his split decision win over Yoel Romero at UFC 225 nearly a year ago. The promotion tried to book Whittaker vs. Gastelum to main event UFC 234, but Whittaker pulled out at the last second with an injury, and he won't be able to return until summer, at the very earliest. 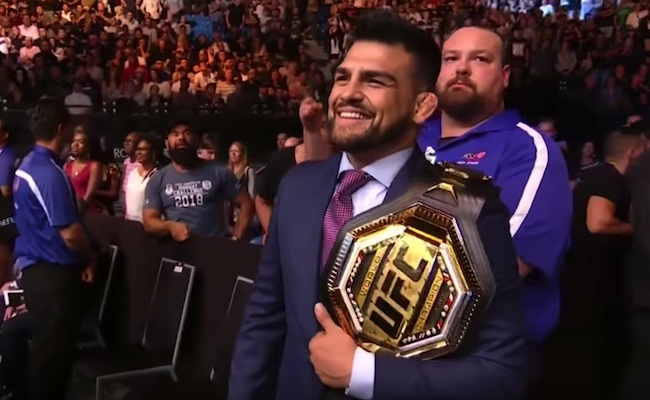 The UFC needed a big co-main event for this show, and the best decision available was to book Gastelum to face Israel Adesanya to crown an interim middleweight champion and get the division moving again. It was the right call. The UFC clearly benefits from interim championship bouts, but most of all, so do fighters. There will be two more champions making championship money, and that's a good thing. Plus the long list of contenders in both divisions will be able to start making pushes towards their own title aspirations. So the creation of these two interim titles will help the UFC sell more pay-per-views tonight, but will also helps make the other fights in those divisions more meaningful, which will help the UFC sell more pay-per-views in the future. And of course, the fans will be happy to watch two five-round title fights. Interim titles have been abused by the UFC in the past, but in these two cases, they both make a lot of sense. An interim champion protects the UFC in the case of a lengthy absence for either Nurmagomedov and Whittaker, two guys who have had long injury absences at different stages of their respective careers. It's likely that Nurmagomedov will be back before the end of the year, but having an interim champion protects the division if he gets hurt again. 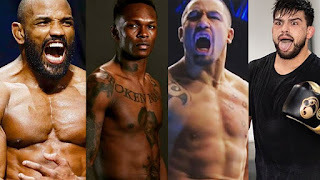 With Whittaker, we really have no idea when he'll come back, so the interim title protects the division. 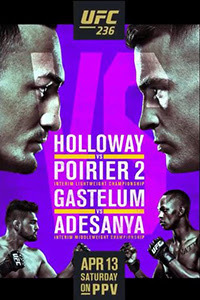 There's really no downside at all to the interim belts the UFC is introducing, and the Poirier vs. Holloway and Adesanya vs. Gastelum title fights make UFC 236 a must-watch event.